Having trained as a mental health nurse I have a lot of experience in dealing with people who suffer with dementia. People living in the community who suffer with dementia/Alzheimer’s disease need a different type of support and understanding to cope with their condition. Their relative or carer may also need support in being able to live a life that has some quality in it for them as well. Often relatives are restricted to when they can leave the house and the person they are caring for, but having someone they can trust to be with their loved one can mean a great deal. I am able to offer families and individuals support at home to help manage their condition. This includes spending one to one time together reminiscing, going out for a walk or going shopping to reinforce the day-to-day things they are used to doing with the added benefit of giving their family member a break at the same time. If someone lives alone, I can check food items are in date and that food is correctly stored, or help them prepare a meal while I am there. I can ensure that where necessary signage is in place to remind clients where things are, or how to carry out a simple task as discussed with the family. Isolation due to problems communicating with others. Finding words and sentences can be hard as people know what they want to say, but cannot recall the right way to express themselves. When dementia sufferers spend time with someone who does not have dementia, it enables that person to have a better conversation and help aid recall of events in their life removing frustration that can build when not able to do this. Decision making – People can lose the ability to make the right decision about how and where to go to, and may go out and forget how to get back home wondering further away from home. I can find out from families what the person usually likes to do and assist in making this happen by going out with them. Food Safety can decline as sufferers may put food items in random places. I can check fridge contents and pantry contents to see that all items are stored in the correct place and that they are in date binning any items that have been inappropriately stored or are out of date. Sequencing – sufferers cannot remember the sequence of completing a task. I can reinforce how to do a task i.e. making a cup of tea, and follow this up with instructions to follow placed near the kettle for instance. When dressing dementia sufferers may not get their clothing on in the right order, I can assist in ensuring they are dressed properly and have the correct footwear and clothing to go out in. Memory aids – simple signage around the home can help individuals move round the home safely and locate where they want to be. 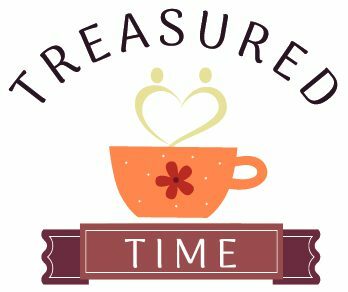 Treasured Time can make a difference to those dealing with dementia by supporting them in their own home to cope with the ins and outs of daily living.